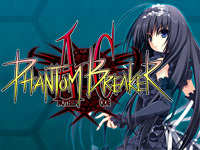 Phantom Breaker Another Code is available today. A good surprise for players: Infinity, the final boss of the game becomes a playable character! He uses many special moves and has overwhelming attacks. Other new characters will appear in the future via the ALL.Net P-ras MULTI. The game has been re-balanced to be more aggressive, players can use more special moves. A new opening movie has also been added. 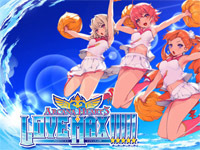 On NESiCAxLive side, Arcana Heart 3 LOVE MAX!!!!! will be updated tomorrow. Version 1.03 features some small adjustments such as the CPU defence and bonus points. The score is now displayed when the game is over. And especially, when specific conditions are met, "gold" characters appear, they are of course stronger and beating them gives higher scores. A "high score" campain will be held until September 8; players who send a picture of their high score will receive a character sticker. 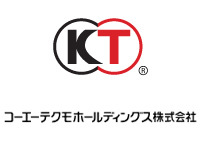 Tecmo Koei has announced good news for fighting games fans. By the end of the year, the company will release a new arcade fighting game in collaboration with Sega. We can easily imagine that it will be released via the ALL.Net P-ras MULTI system (RingEdge2). Tecmo has not released any arcade game for over 10 years, the last being Monster Farm Jump in 2001. The new game's title has not yet been unveiled. However, it could perhaps be a special version of Dead or Alive 5 given that the console version was produced in collaboration with Sega AM2 and features characters from Virtua Fighter. We could also think of a Dead or Alive x Virtua Fighter game. Tecmo has had success with titles such as the Dead or Alive, Tecmo Wold Cup, Ninja Gaiden, Solomon's Key and Gallop Racer series... Update: the game will be Dead or Alive 5 Ultimate: Arcade and it will be out this Winter. 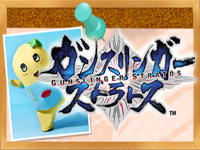 Gunslinger Stratos Ver.1.50 is out today. This update features a new stage "Chiba" and starts a collaboration with Funassyi character. Funassyi is the mascot of Funabashi city in Chiba prefecture. It represents a pear (a specialty of Funabashi) and is quite famous in Japan where it appeared in many TV shows and commercials. Like other stages in Gunslinger Stratos, the Chiba stage is extremely realistic. 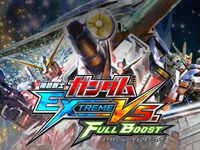 A new update of Mobile Suit Gundam Extreme VS. Full Boost is out today. As usual, two new mecha and a stage are added to the game content. The two mecha come from the âˆ€ Gundam animated series produced in 1999. These are the AMX-109 Kapool operated by Sochie Heim and the AMX-109 Kapool Corin Nander Custom operated by Corin Nander. The first is equipped with: Laser Beam, Sonic Blast, Missile Launcher and 3-barreled cannon Machine and the second features the same equipment plus a Rocket Punch glove and a Minchi Drill. The new stage is the space fortress A Baoa Qu which was the last defense line of the Principality of Zeon during the war called "One Year War". 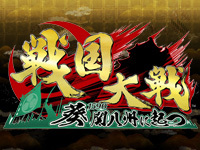 Sengoku Taisen 1590: Aoi, Kanhasshuu ni Tatsu, the new update of Sega's arcade strategy card game is available today. In this new chapter taking place in 1590, Toyotomi Hideyoshi has unified the country, a new era begins. Ieyasu Tokugawa and Chosokabe Motochikao join the list of generals present in the game and 150 new cards will be added to reach a total of 900 cards. The two generals have their scenario. 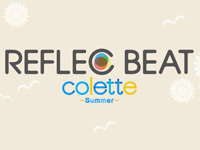 REFLEC BEAT colette turns in summer mode today. Konami's game has the peculiarity to change its theme with the seasons. The interface colours are now blue. Besides the theme changes, the transition to a new season also brings new songs to the playlist. This summer, six new titles are added: Ninja ri banban (Kyary Pamyu Pamyu), Sayonara janai (FUNKY MONKEY BABYS), RPG (SEKAI NO OWARI), Matsuken Samba II (Matsudaira Takeshi), sisterâ€™s noise (fripSide) and Luca Luca â˜… Night Fever (Jikkoku Nana). Sega will release updates to two of its leading arcade this week. 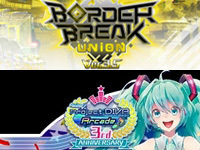 Border Break Union Ver 3.5. is released today. Huge new weapons appear in "Union Battle" mode, a new type of mission "Union order" is added. A new "request weapon" equipment" available under certain conditions during battles allows players to develop new strategies. Tomorrow, Hatsune Miku Project DIVA Arcade Version B Revision 4 will be available. On June 23, the game will celebrate its 3rd anniversary and its success is not weakening. Players will celebrate the event by purchasing a screen skin or a title plate specially created for the occasion. They cost 39VP. Furthermore, the third anniversary of DIVA Arcade festival will be held from June 20 to 28. During this period, players will earn extra 5VP per stage. Arcana Heart 3 LOVE MAX!!!!! v.1.02 is available since yesterday. This update adds a nice feature for NESiCA cards owners: at the beginning of each match, the last character used will be selected by default with the same parameters (color, Arcana and fight mode). Some bugs have also been fixed but there is no character rebalancing. Online rankings will be updated every Monday. During JAEPO in February, FK Digital announced that an update of Chaos Code (out on RingWide in 2011) would be released soon on NESiCAxLive. 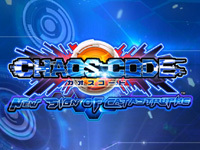 Chaos Code - New Sign of Catastrophe features 14 playable characters: the 11 first from Chaos Code plus the 2 added with updates (Celia II and MG Hikaru) and also Kudlak Sin coming from the PS3 version. The characters have been rebalanced and the operator can choose between a 4:3 display (with stripes on the sides displaying moves) or 16:9. A new opening movie was made for the occasion and you can see it here. 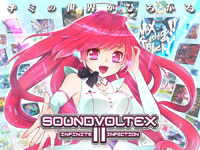 Sound Voltex Booth II - Infinite Infection is the latest rhythm game in Konami's BEMANI series. The first episode of was released in January 2012. In this sequel, Konami adds 14 new tracks (including Vocaloid and Touhou Project songs) and offers remixed versions of old songs. The control panel has been changed: the white buttons are re-named as BT-A, B, C and D and the two pink buttons are called FX-L and FX-R. Their use is somewhat different from the first game. Depending on the music, the screen tilts to the left or right. The interface has been redesigned and the theme is in pink and white tones. The songs are now categorized. The game can be played in Online mode or Friends mode (local).